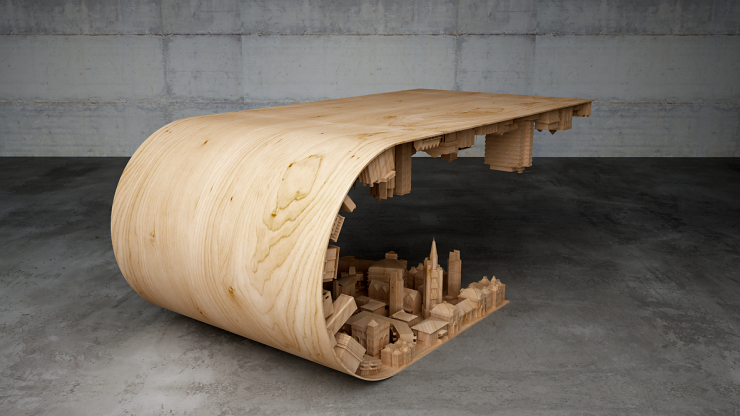 Wave City Coffee Table, Like From Inception | OhGizmo! Look, there’s really not much to say about this product. 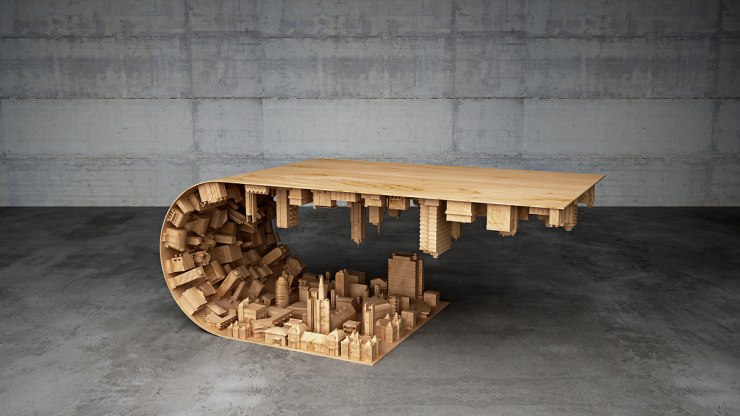 It’s just a coffee table. But damn if it ain’t one of the nicest coffee tables we’ve come across lately. 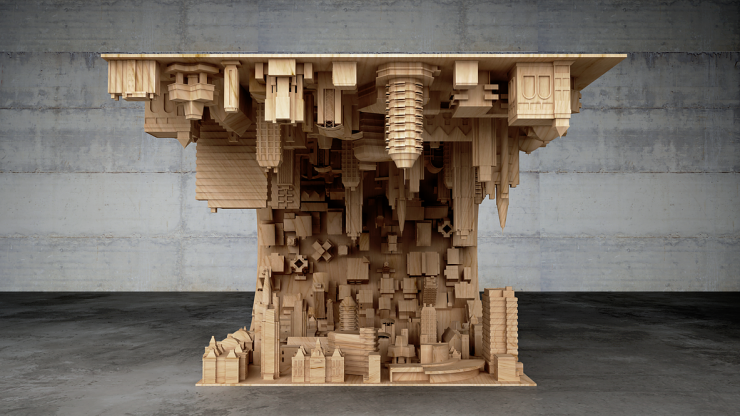 It’s called Wave City Coffee Table, is designed and made by Stelios Mousarris and is a mixture of wood, steel, and 3D printed stuff. It doesn’t look cheap, and it isn’t: €6500, or about $7,400. 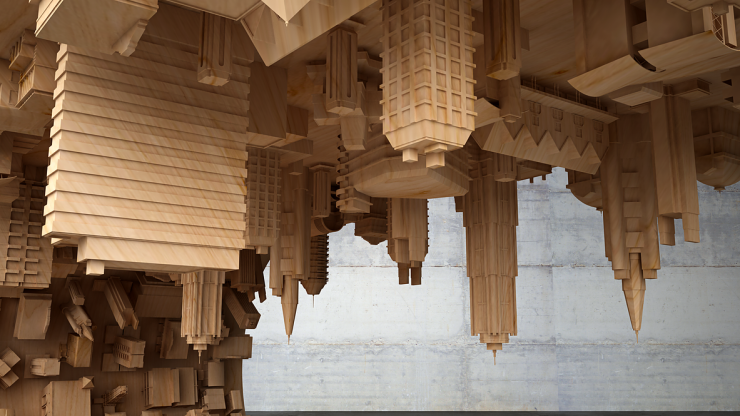 He also makes a full dining table with the same concept, but that one’s a cool €18000 or about $20,500.